A chicken is among the top 5. 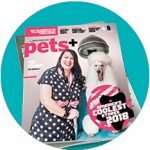 Two dogs, two cats and a chicken round out the top five in the 2018 Pet Rich List, a Forbes-like ranking of the wealthiest pets, compiled by insurance comparison site, comparethemarket.com. A German German Shepherd named Gunther IV is worth $375 million, thanks to an inheritance. American Grumpy Cat made his No. 2 $100 million fortune through merchandising, sponsorship and media appearances. And Lucky Gigoo, a hen from the U.K., ranks fifth with a $15 million inheritance from a publisher whose eccentricity was fully realized only upon his death. Among the more unusual animals on the list of 35 are an Alaskan brown bear, a chimpanzee, a cow, a fox, a parrot, two tortoises and two monkeys. Catch a Yahoo Finance video on the world’s richest pets below.